Having spent a morning getting to grips with the game it’s worth noting just how polished this beta is. The splash screen reminds you the game isn’t complete, it’s about 40% done, but seeing as that 40% will keep you busy for hours it’ll be interesting to see what’s added. As a big fan of god games I’ve been looking forward to checking this out, having enjoyed everything from Populous to Black & White. 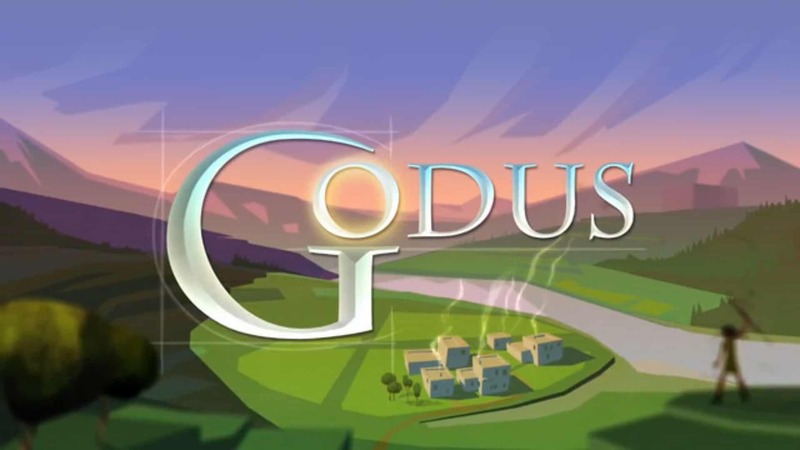 The look of Godus is very distinctive, and I can imagine it working well on mobile devices. You start with a couple of chaps working on some stone with pickaxes. I’m not sure how they managed to craft such advanced tools, but however they did it they did a rubbish job and they need your help busting the rocks. Once you’ve cleared some room the chaps get to work building a hut, and then by some process unknown to this Godus player they manage to reproduce. The first part of the game is all about expanding the camp and getting more worshipers. More worshipers means more power for you, the player. That power is used to shape the land, and it was at this point you begin understand the point of the 22cans Curiosity experiment, where they wanted people to click away at the surface of the cube to reveal what was inside. It did make me wonder if this should really be on the PC…there is a LOT of clicking to be done. Click, click, click, [tree destroyed], click, click, click, [stone destroyed], click, drag, click [tiny bit of earth moved. It gets to be a bit of a strain, but you can see how this interface will work well on a touch screen device. Once you get the hang of expanding you group of followers you start to explore the surrounding area. There are little chests to discover which when clicked provide you with resources. These are stored as cards in your handy God Book and are automatically used in combinations to unlock items and advance in the game. As the number of followers increased so does your area of influence. You start to find something beyond just a desert, there are mountains and green areas to settle. Eventually you come across a status which acts as the multiplayer start menu. By this point you have lots of followers, so of course like any good God you send them into battle with the followers of other Godus players. At this early stage this element feels like a good idea that isn’t really working, perhaps due to the small number of players at the moment. Starting several matches it became clear there was no real competition and the match was over without any hassle within 5 minutes or so. It’ll be interesting to see how this improves over the coming months. There are several multiplayer modes, from a basic last man standing to a mine more rocks than the opposition. I expect that when up against a real person who wants to win most of these modes will turn into a numbers game, whoever has the most followers will win, if only by slaughtering their opponents followers before they can cause any trouble. This is one of those games that appears to be very simple of the surface, you initially wonder how it’ll hold your attention, and then 4 hours later you wonder what just happened to the time. It’s got a ‘just 5 more minutes’ quality, it compels you to wonder what the next upgrade is, what might be beyond the mountain which is currently out of your influence, and how are the little people going to change as they advance. 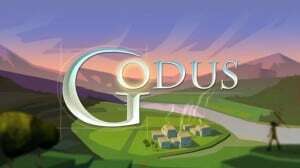 To learn more visit the Godus Steam page: http://store.steampowered.com/app/232810.